Итак, начинаю пробный МК по вязанию пледа. Глеб по жизни спокойный малый. Не любит шумные компании и тусовки. I've been finishing off some scarves lately so thought I would share some pics . Good afternoon! I am a designer of clothes and accessories.I invite to visit my page and enjoy my works. It one of my works.Pleasant viewing! 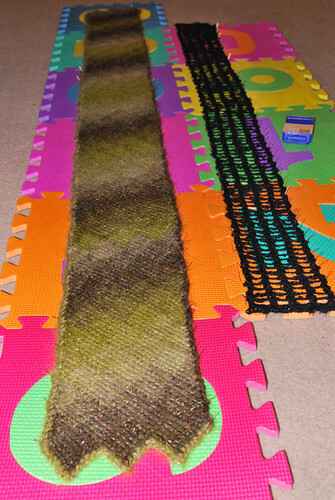 Or, I had a bunch of yarn I was trying to deplete, and I made something that's halfway between a shrug and a sweater. I'm calling it the "wenchette", because it buttons right below my bust and makes my rack look awesome. Yarn: Busy Bee Hushabye and Caron Jewel Box; Jewel Box is discontinued, and the Hushabye tried to come unraveled a half a dozen times. I remembered why I don't work with the Busy Bee line much. Notes: This started out as a basic shrug. I had the teal Busy Bee yarn, and I figured I could put together a cute shrug in an evening or so. I finished with the teal, tried it on, and realized I'd blown my measurements by about three inches. I had the Jewel Box yarn with me, so I figured I could use it to do up the arm seams a little farther and bring in the back. And then I just kept adding stuff until I ran out of Jewel Box. At the end of the day, I like it. Everyone who's seen me in it has been very complimentary, and it's actually very warm and cozy. I'm sharing a basic spreadsheet that I've put together. It incorporates body measurements with gauge and ease in order to give you stitch/row counts for your sizes. It can be used for knit or crochet. It isn't an exact replica of the one I use, but it has all of the dimensions as listed on the Yarn Standards website (sizing for Women). In the upper-left corner, one can enter the ease & gauge and the rest of the spreadsheet will auto-populate. 1. The file itself is in MS-Office Excel format. That is the only format I am providing, but if other people want to convert it and share it with others - feel free. 2. The file has no copyright attached - use/copy/share/alter as desired. I don't even require credit, but it would be nice. 3. I am not offering *any* tech support either for the use of the information, or the use of MS-Excel spreadsheets, or the rationale behind my formulas (it's really straightforward stuff).